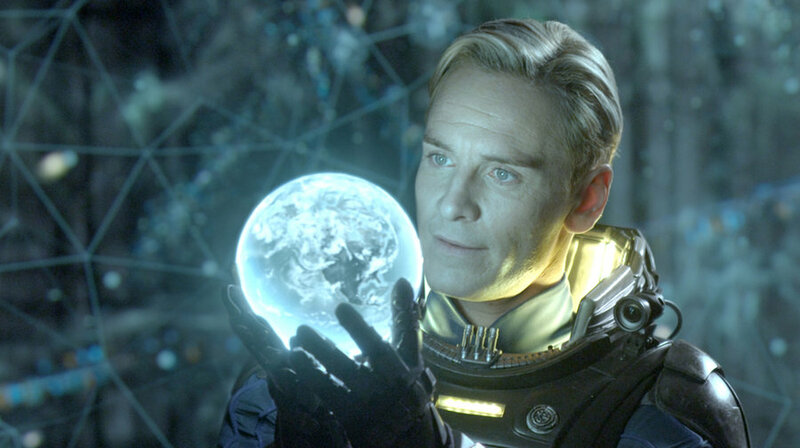 I remember when I first saw the Prometheus trailer. That massive ship, the striking visuals, hell raining down from the sky as the title faded into view across the screen. It was like nothing I had seen before, and I was instantly sold. I’d never seen any of the Alien films at that point, but now I wanted to, so I guess the trailer worked in that regard. Shortly thereafter, I picked up a movie two-pack of Alien and Aliens, determined to get caught up on the “important” entries in the series. 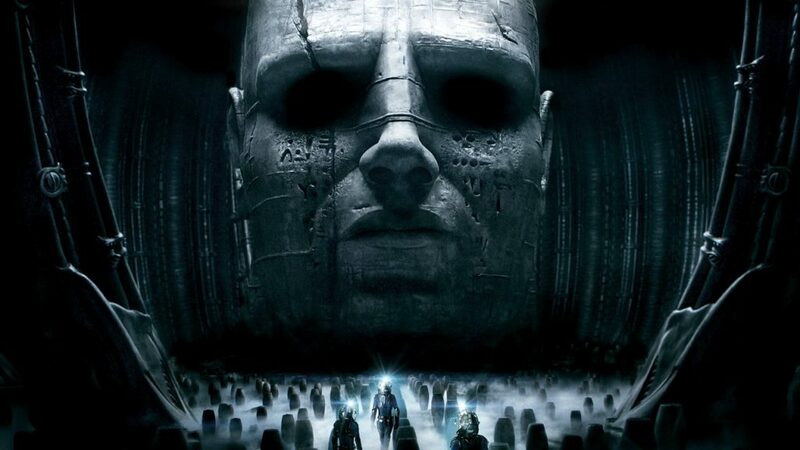 I love both of those films, and I recently rewatched both Alien and Prometheus in preparation for Alien: Covenant, but there’s something about Prometheus that continues to stay with me — from the first time I saw it in theaters, to the time I rewatched it (again) last week. For the longest time I’ve felt in the minority for liking this film, until my buddy Nathan informed me that there’s a pretty wide circle of film critics who genuinely appreciate the film for what it is. 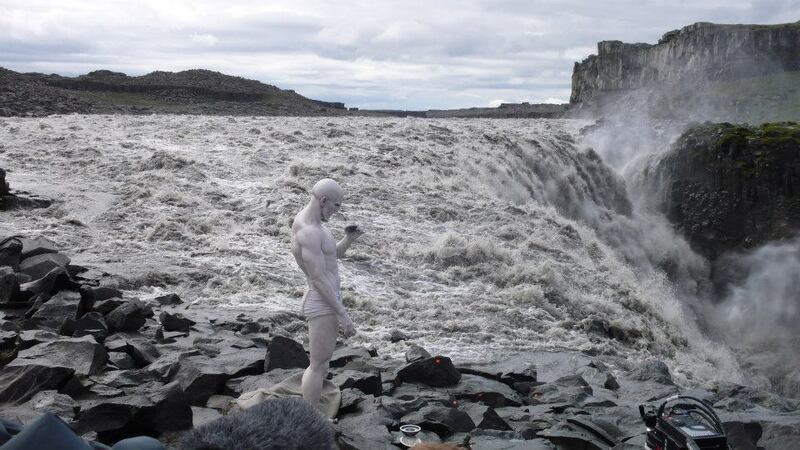 And I think that’s the key to appreciating a film like Prometheus. You have to like (or dislike) it for what it is, not what it isn’t. It paints in broad strokes, yet it feels like people get caught up in the minutiae. Why did they all take their helmets off? Why did that dumb scientist get so close to a proto-face hugger? Why did Charlize Theron keep running in a straight line? Why did Guy Pearce’s makeup look so gross and fake? These are all (to varying degrees) valid complaints, and the Internet has already debated them to death, so I won’t do that here. I’m more interested in examining the bigger ideas the film plays with, the notion of meeting our maker(s) and asking them why. Why create us in the first place? Why abandon us to chaos and ruin? Why seek to destroy us? These are the questions Noomi Rapace’s Elizabeth Shaw seeks to ask, even as she clings to whatever remnants of her Christian faith, thanks to her father’s worldview. Everyone must seek out their own faith, find their own truth. And even if the crew of the Prometheus were to find humanity’s creators — the Engineers, as they call them — what (or whom) is responsible for creating them? On that note, we even see a fascinating creation-event on a habitable planet that may or may not be Earth. One of the Engineers willingly drinks a black liquid that destroys his body, disintegrating it down to molecular level in order to create life. It’s an image that is not entirely unlike Christ, whom asks God to “let this cup pass from me” before accepting his fate, allowing his body to be mutilated and destroyed so that his people might live. You could even argue the Engineer had his own moment of internal crisis before drinking from his cup; the way he looked up at the ship, silently questioning before accepting his own fate of creation-by-death. These are the moments that fascinate me. These are the themes that resonate. 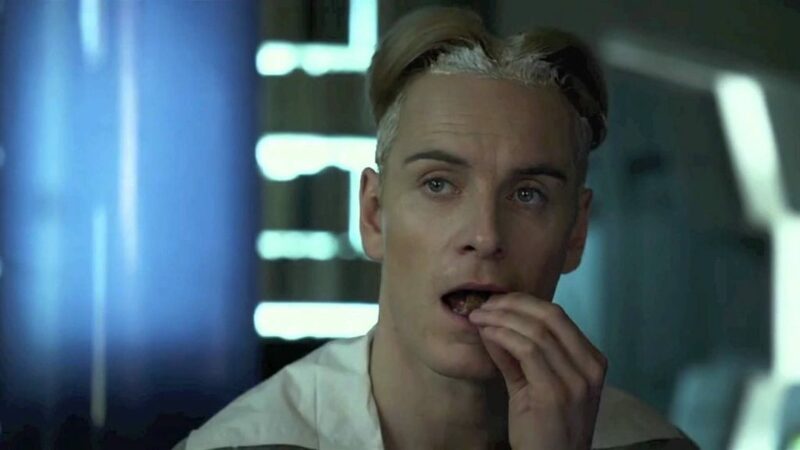 And even aforementioned creation event, you have David, an android played until perfection by Michael Fassbender, a being that is created by beings searching for their creator. If there was any one character or story that sums up what the film is trying to say, it’s his, as he serves as a microcosm of the grander tale. He was created by man, and then abandoned by them as they all go into hypersleep, left to his own devices. And what does he do? Does he go about some arbitrary, mechanical routine? No, he studies what it means to be human. He learns every known language, plays sports, watches films, emulates hairstyles and mannerisms. He even eavesdrops on the crew’s dreams, the closest he’ll ever get to human contact and intimacy during his isolation. He desperately wants to understand his creators, so he strives to make himself more in their image — just as Shaw carries around a crucifix, a reminder to be more Christ-like. Ironically, even though Shaw is the driving force behind the crew’s pursuit of the Engineers, it is David (a human creation) that first connects with the Engineer. Of course, that is the whole reason why he was brought aboard the ship; he was tasked with the mission of being the bridge between humanity and its creator. That was the sole purpose of his design, but you could feel him longing for more. This sense of longing for something more is another central theme of the film. Elizabeth Shaw and Charlie Holloway (played by Logan Marshall-Green) long to find the Engineers, but also to create life. Elizabeth is barren, a fact that cuts her to the core and fills Charlie with regret when she mentions that she doesn’t have the ability to create life — a harrowing bit of foreshadowing when she becomes impregnated by Charlie’s Xenomorph-infected sperm (which becomes the monster that consumes the sole surviving Engineer, bringing things full-circle of life). And then there is the longing of Charlize Theron’s Meredith Vickers, daughter of Guy Pearce’s Peter Weyland (the founder of Weyland Corp. and financier of the Prometheus expedition). She first comes across as the cold and calculated “villain” of the film, as she is the constant roadblock to Shaw and Holloway. But what if there’s something deeper at play. What if she’s lived a life in the shadow of a certain android named David, her father’s ultimate creation. What if she longs to be noticed and appreciated and loved by a father who has largely ignored her in favor of his own devices. Again, this theme of creation and creator come back to the surface, painting a picture that’s larger than jump-scares and dumb decisions. What I love about Prometheus is that it doesn’t answer every question it poses. It gives you just enough information for you to form your own hypothesis, your own interpretation of events. Which, in a way, is what the characters do within the film itself. They don’t know why they were created, or where their creators come from. But they have stories and ideas and theories — all of which can be found in abundance online. It’s honestly overwhelming at times, because the mythology of the Alien universe is so richly layered and textured, and Prometheus adds a lot of interesting elements to that tapestry. 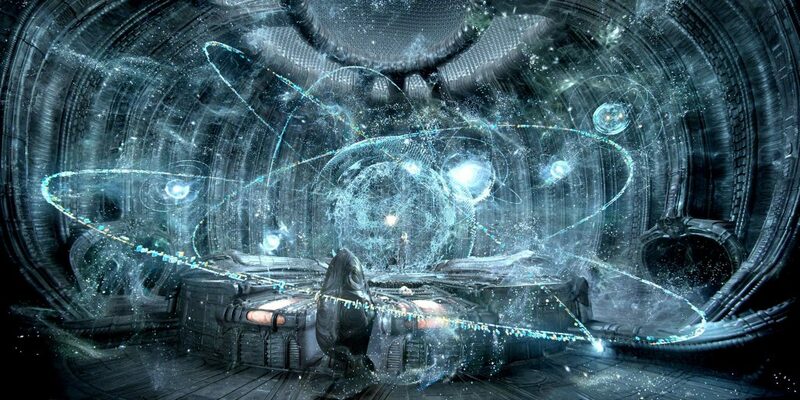 Plot-issues aside, I think what upset a lot of people is that Prometheus is not Alien, and it didn’t give any real answers as to what happened to inspire the events of the original Alien film. Ridley Scott strove to tell a different kind of Alien narrative, and I honestly think it works. From the compelling characters to the sweeping cinematography, there’s a lot to love in this film. Is it perfect? No — but few films are. What matters is the impact it leaves on you, and the ideas you build from it. And Prometheus does both in spades.